Select Trade Shows & Events or Custom Fabrication at right to view more exhibits. 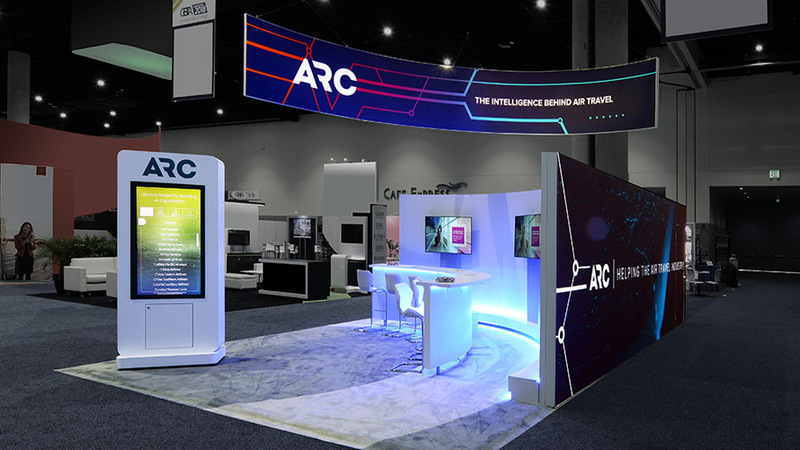 Creatacor continued its nearly 10-year partnership with ARC (Airlines Reporting Corporation) by designing and producing a new 20’ x 30’ exhibit for their largest annual event. The design process was a truly collaborative effort, which is something ARC has appreciated and valued over the years, as it has ensured satisfaction on their investments. The footprint was was open and inviting, while providing functional semi-private meeting space and ample storage for a large exhibitor staff. 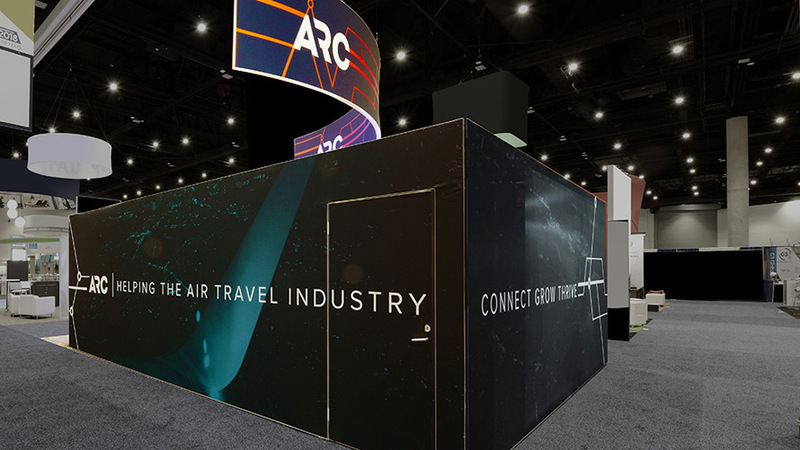 The design of the booth was also an excellent showcase of recent design trends. The semi-translucent fabric for the meeting room walls allowed people outside to see that the room was occupied, but created enough privacy for those inside the space. Blue accent lighting lended to the look and feel of a modern tech company while utilizing the new color of their brand. Custom counters and back wall finished with a sleek laminate completed the overall aesthetic of the booth. To create and interactive experience, we partnered with one of our trusted interactive providers, who worked hand-in-hand with the client to produce an engaging touchscreen kiosk interactive. Overall, feedback from both the client and visitors was very positive. 1.800.611.0431 info@creatacor.com 10 Enterprise Ave.